Police received a 911 call from a woman running away from her boyfriend last night. Officers located the woman on Grand Avenue and learned that she had been assaulted and that the man had stolen her phone after she called police. Police located the man and he was arrested early this morning. 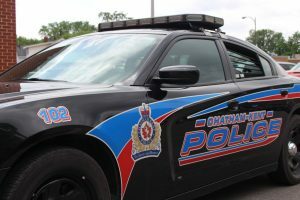 The 29-year-old Chatham man has been charged with theft under $5000, two counts of assault and two counts of uttering threats. He is in custody for a bail hearing.